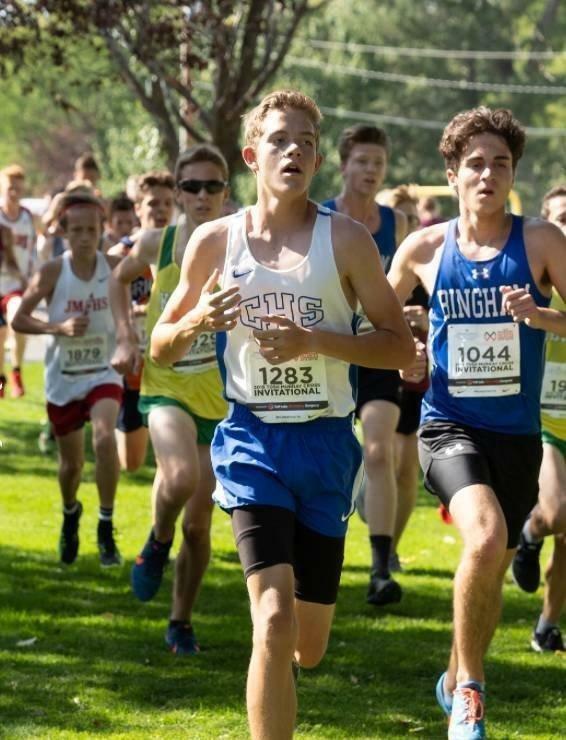 Carbon, Emery and Pinnacle high schools are in the thick of the cross country season, taking part last week in different meets. Emery and Pinnacle were in Moab for the Red Rocks Cross Country Invitational on Wednesday. Emery placed four runners in the top 15, with Bryar Meccariello taking third place overall with a time of 16:36.2. Jess Christiansen (fifth), Chase Christiansen (eighth) and McKay Meccariello (13th) came in after Bryar. On the girls’ side, Carlie Bennett finished in 11th. Adaley Lester was next in 14th. For Pinnacle, Landen Hardy came in with a time of 19:37. Zach Gibson and Jaxson Carlisle were next for the Panthers. The Lady Panthers were led by Kemery Stuckenschneider with a time of 29:06, good for 53rd place. Stephanie Sasser was right behind Stuckenschneider, coming in with a time of 26:25. The Dinos took part in the Murray Invitational on Friday. Missing the Page twins, the boys’ side took 22nd out of 44 schools. James Bryner was the top finisher for Carbon, coming in 86th overall with a time of 17:42.0. Ammon Wilson was next in 95th. Grace Broadbear came in for the Lady Dinos in 21:03.3, good for 49th overall. Emma Haddock was next in 58th. Carbon finished, as a team, in 27th position out of 36 teams. The boys finished in 23rd place out of 45 teams. Carbon will be in Spanish Fork on Friday for the UIAAA Invite. Emery will participate at BYU on Saturday. The Panthers will take part in the Stewart Foster Invitational on Monday.